I returned home from a day at work to find our flat filled with the odours of ravioli and garlic bread baking in the oven and a glass of Sainsbury’s Fairtrade Carménère waiting for me. Carménère is a grape that was widely planted in the Médoc region of Bordeaux until the Phylloxera outbreak in the latter half of the nineteenth century wiped out the vines. Carménère was not among the varieties to be replanted, but fortunately, a decade or so earlier cuttings had been taken to Chile. 80% of the world’s Carménère is now in that South American country and it represents about 10% of the land under vine. There are also wineries around Walla Walla in Washington that grow this variety; I look forward to trying those wines when we visit that region in October. 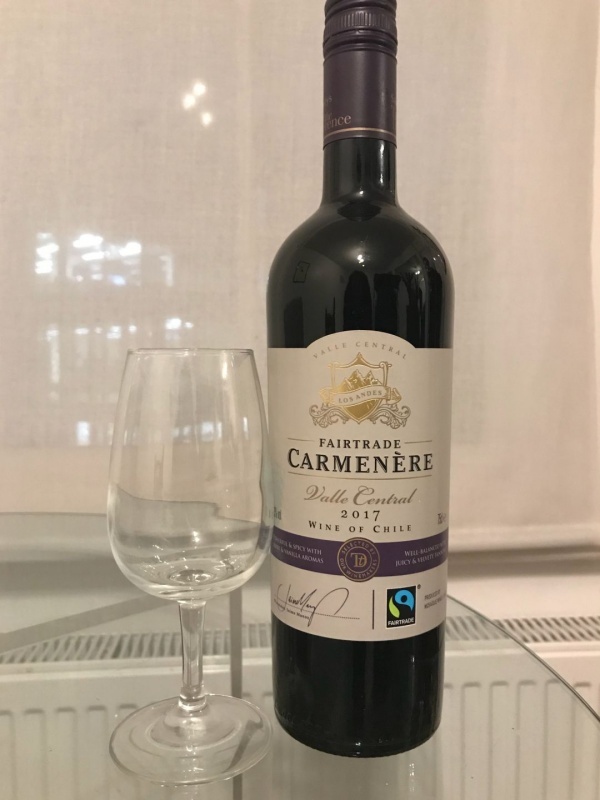 The wine we tried was the 2016 Sainsbury’s Fairtrade Carménère. Sainsbury’s is one of the major British grocery store chains and in common with their competitors sells wine under their own label. The wine was dark ruby in colour. A low-intensity nose of leather and just a hint of vanilla. Neither Amber nor I found any fruit aromas; not the most auspicious start. Fortunately, the taste was more interesting than the smell. It was a fairly full-bodied wine displaying low to medium acidity. Mellow tannins with a kick of black pepper combined with a hint of blackberry to create a pleasant, but unremarkable experience. The finish was surprisingly long. The wine is drinkable. After that initial taste, I poured a full glass to go with the meal. The wine worked well with the ravioli and garlic bread, losing none of its character. 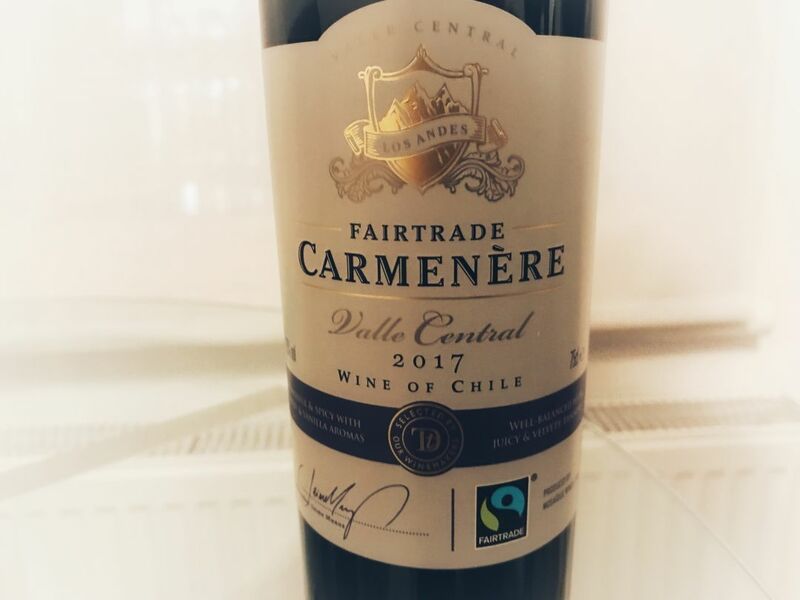 Sainsbury’s Fairtrade Carménère sells for £7 ($9.75), which excuses the lack of panache and makes this a worthwhile bargain if you want to try a lesser known varietal. I love a good Carmenere. I really haven’t had that many to compare. Only some that are great and others that are meh. The spread seems to be pretty wide on this grape.